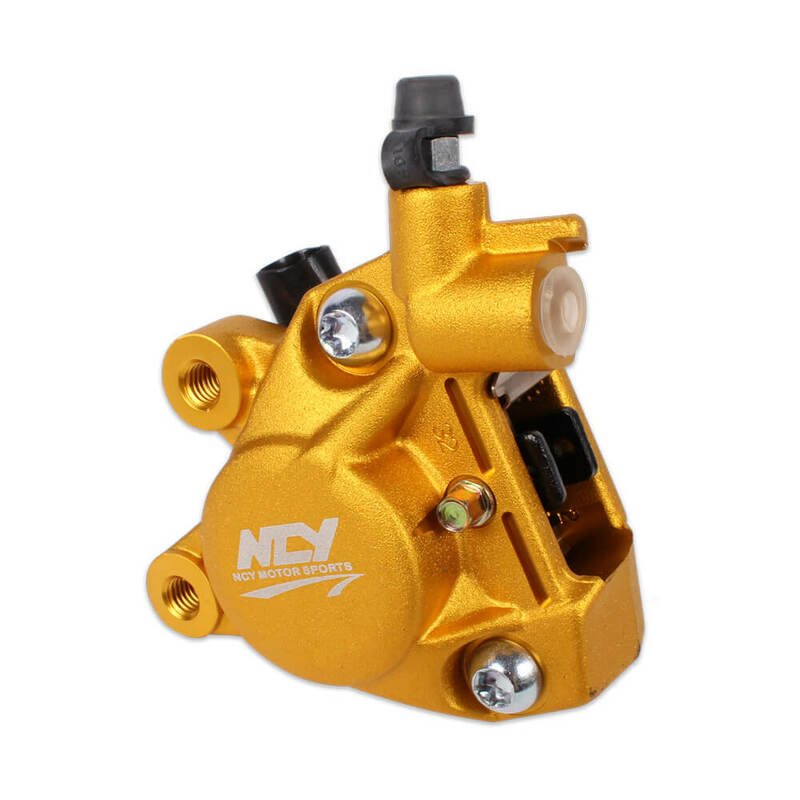 High quality, forged brake caliper from NCY. This two piston caliper is a great upgrade over the single piston calipers that are standard on most Jog and Minarelli scooters. 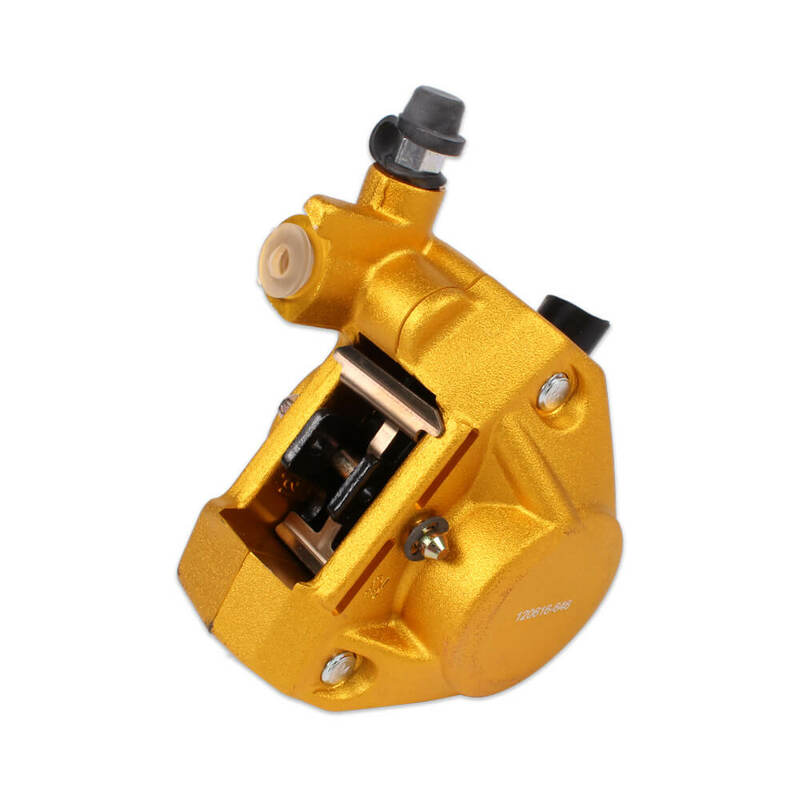 Not only do you get better stopping power with this caliper, there are also many more brake pad compound options available.